California urban artist David Gonzales has given Chicano and Lowrider style a presence in popular culture like never before. 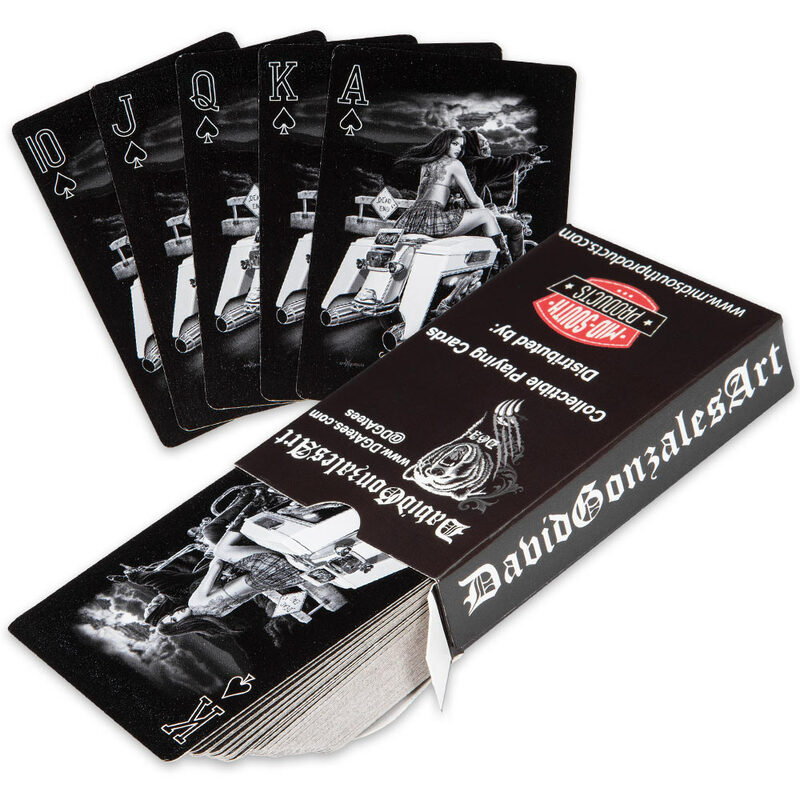 His signature black and white Ride or Die artwork is displayed on this pack of collectible playing cards. 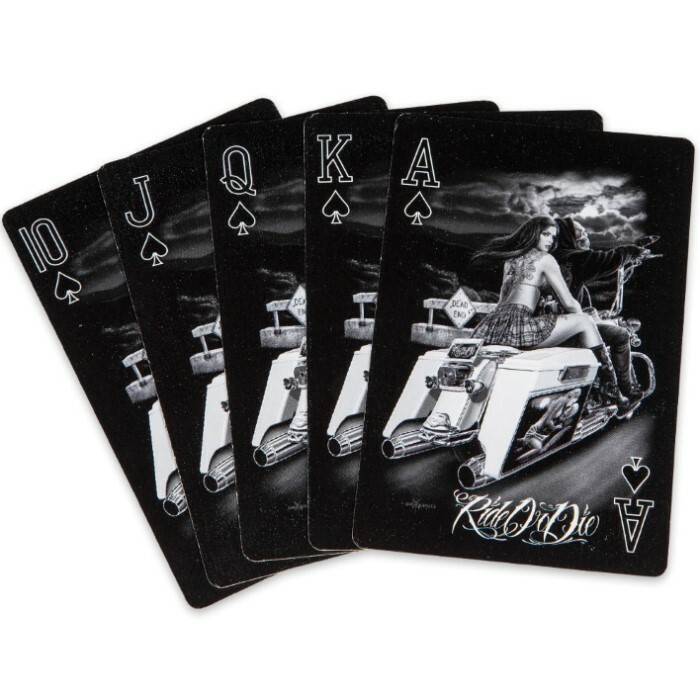 You get four different pictures, depicting a beautiful biker chica riding with a skeletal biker, plus, a Joker portrayal. Each picture is repeated throughout the suit it represents. 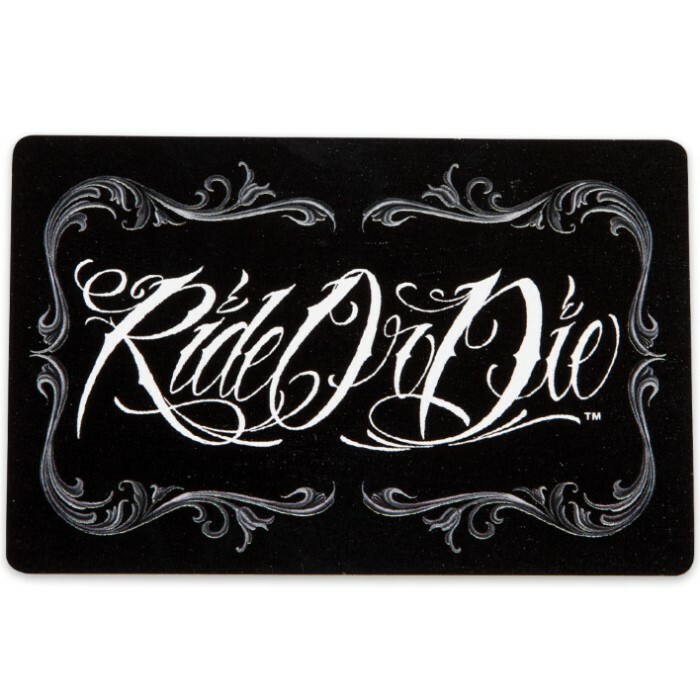 The black cards have a slick, glossy finish and are made of high quality materials. They are standard playing size. Don’t miss your opportunity to own artwork from this legendary California artist!